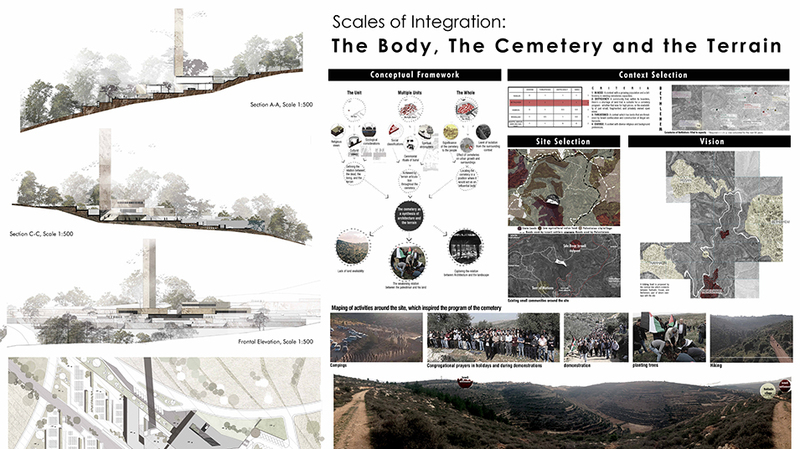 The project, supervised by Shadi Ghadban, dean of the Faculty of Art, Music and Design and a professor of architecture at Birzeit University, explores the function of the cemetery beyond its utilitarian role and aims to exploit the potentials of the cemetery’s program, high spiritual experience, and collective symbolism to establish facts on the ground in politically-contested territories. 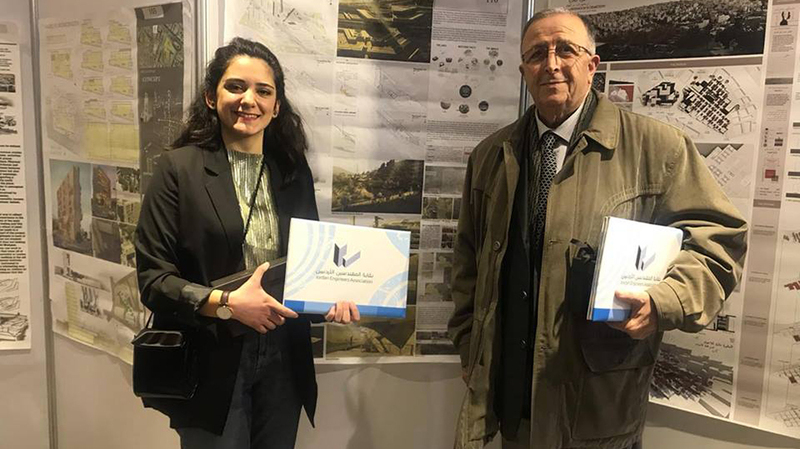 “In a context like Palestine, where the struggle on land is not confined to its surface, but also extends to the underground, the act of burial and the cemetery it hosts take on an inevitable political dimension,” wrote Saqf Al-Hait and Ghadban. The design process, noted Saqf Al-Hait, started from the choice of land, both of which were informed by three primary considerations: the lack of land availability within the boundaries of the cities; the increasingly-weakening relationship between Palestinian citizens and the land; and the objective to explore the relationship between architecture and the terrain. 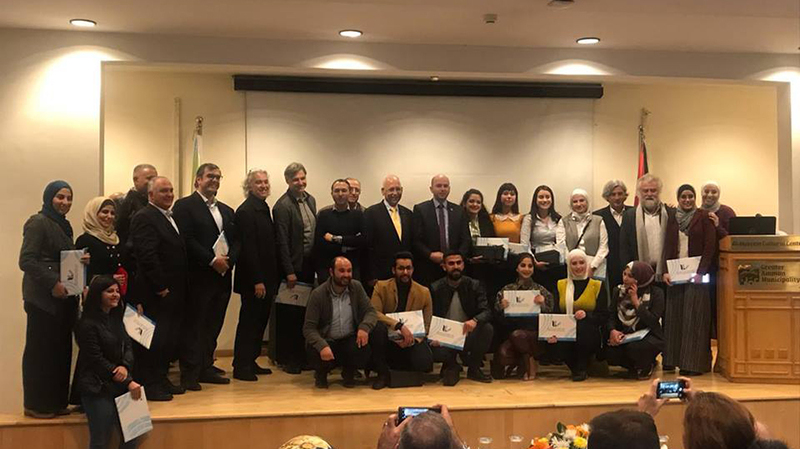 Situated on the west side of Bethlehem Governorate in Palestine, the site sits between two Palestinian villages, two Israeli Occupation settlements, and the city of Bethlehem. With the gradual expansion of these illegal settlements and plans to build an apartheid wall around the western borders of the city to interrupt geographic continuity, the cemetery is meant to counteract these attempts by establishing a permanent communal presence in the area both above and below the ground. The project, which was inspired by mapping existing activities around the site through which people attempt to claim their rights to the land, builds on these activities and orchestrates a succession of spaces that correspond to different rituals of the burial process: arrival and gathering, washing the dead, prayer, burial, and post-burial funeral reception. Additionally, a public hiking trail runs through the cemetery and reaches a martyrs memorial, which also serves as a minaret for Muslim prayers, a bell tower for Christians, and a watch tower for the public.